Clear Flat Cello Bags, 7x15"
Buy More Clear Flat Cellophane Bags Save More! These clear cello bags are perfect for cookies, candy and favors. They are perfect for holding gift basket stuffers, keeping your items safely in place. Just fill, twist, and tie with our pre-tied bows or twist ties. Each bag is made from deluxe 1.2 mil crystal clear acrylic coated polypropylene. 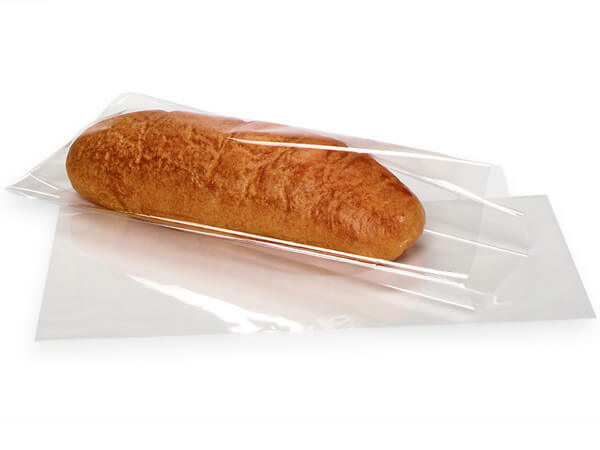 They comply with FDA regulations for food packaging, are heat sealable and offer excellent moisture & aroma barriers. All of our clear cello bags are proudly made in the USA! Mini-packs of 100 are packaged in a poly bag, while the bulk packs of 1000 are packaged in a carton with no inner packs.